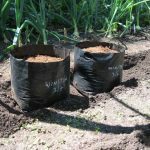 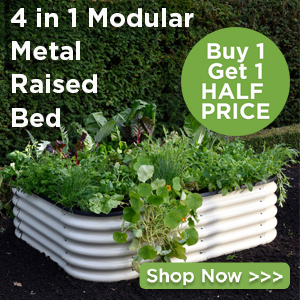 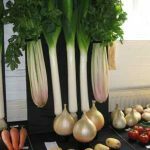 Once you’ve got the basics of vegetable growing under your belt, you might fancy growing for show. 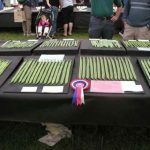 Vegetable show growing is a great hobby. 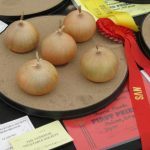 Sometimes it’s just a bit of fun competition on the allotment site or at a village show where the top prize is a couple of pounds and the look on your rivals’ faces when you get the coveted winner’s red card. 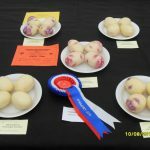 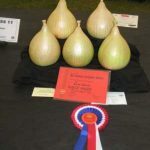 Once you move onto the major horticultural show circuit, the competition really hits up as you’re against serious growers. 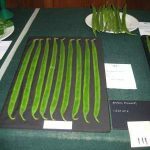 These are people who have years of experience and spend many hours growing the best specimens to be at the peak of perfection on the day of the show. 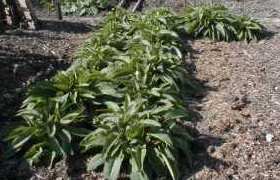 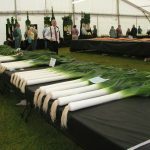 Growing vegetables for show isn’t, as many think, about growing the biggest. 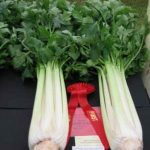 It’s about growing the best example of a vegetable and often the biggest won’t even get a place from the judges. 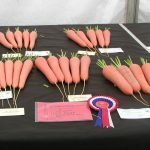 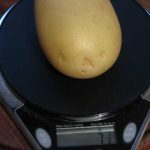 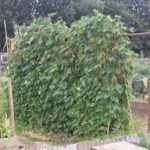 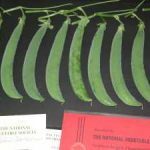 Luckily vegetable growers are a generous bunch and in this series of articles John Trim shares his knowledge and tips to help you grow the best and get the winning red card at the horticultural show. 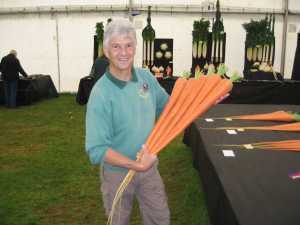 John has been growing & showing vegetables for almost 50 years. 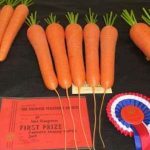 He is a former National Vegetable Society (NVS) national champion with onions & carrots. 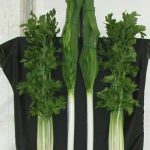 He has also won numerous other prizes at NVS & RHS level. 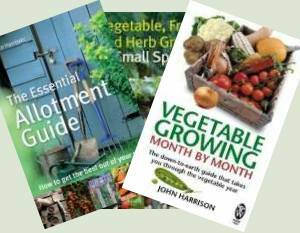 When John is not growing his prize winning vegetables he is either writing or talking about them. 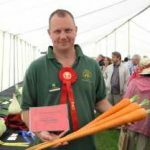 He has run courses for those new to gardening through the Countryside Education Trust & as a horticultural lecturer he has given talks to hundreds of garden clubs & societies. 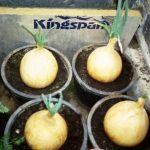 John has also designed two vegetable related gardens for Chelsea Flower Show. 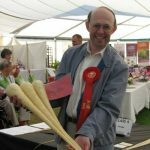 In 2007 he was one of the fruit & vegetable judges on the successful BBC 1 production The Great British Village Show which was presented by Alan Titchmarsh.